Stacy Monson writes stories that show an extraordinary God at work in ordinary life. Shattered Image, book 1 in the Chain of Lakes series, is a 2015 Readers Favorite Book award winner. Dance of Grace, book 2, releases October 2015. A member of ACFW (American Christian Fiction Writers), she is the current secretary and past president of MN-NICE, as well as the area coordinator for Minnesota. Residing in the Twin Cities, she is the wife of a juggling, unicycling physical education teacher, mom to two amazing kids and two wonderful in-law kids, and a very proud grandma. 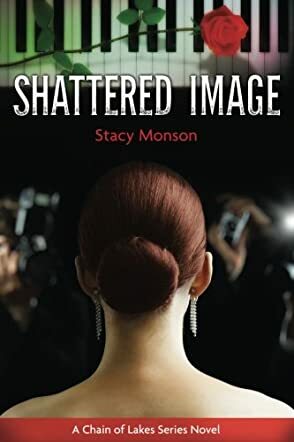 In Shattered Image by Stacy Monson, a rising singing star and an ex-super model try to find balance on a very thin line while holding onto each other. Once upon a time, Kiera Simmons was a super model. When her career ended, she chose to work with teenagers who have a bad body image. She chose to dedicate her time to helping media-influenced teens learn to love their bodies and themselves. She wanted them to understand their true value and their true place in this world. Her life took an exciting turn when she met a rising singing star at her cousin’s studio. Peter Theisen is living his life in the fast lane. He loves the high he gets while standing in the spotlight. His life is going at a crazy speed and he would not have it any other way. But he feels that his manager is using him as long as he is young and handsome. Was he just an amusement or was there really something in the industry for him? When Peter and Kiera meet, they feel attraction and something deeper. Peter wants the limelight while Kiera wants to stay as far from it as possible. With their conflicting careers in the way, can they stay together or will their love be forgotten? Shattered Image by Stacy Monson was a really sweet romance. I was not a big fan of Christian romance, but Stacy Monson has changed that for me. There is a lot to be said about a clean romance that has real, pure emotions and real conflicts that you can relate to. A job well done by this amazing writer! I really enjoyed it.